The adventure starts with a heavenly scenic gondola ride in the Wildspitzbahn gondola, which takes visitors effortlessly up to Tirol’s highest glacier. On top of the peak, at an altitude of 3,440 metres above sea level, sits the Café 3440, Austria’s highest elevation café. Surrounded by a series of summits higher than 3,000 metres, visitors can take in the stunning panoramic view from the free-floating sun terrace. Open from September to May, the ski resort offers 40 well-groomed pistes in all levels of difficulty, making the ski area a perfect destination for families. Do you prefer backcountry skiing? The Hintere Brunnkogel mountain offers pristine powder at an elevation of 3,440 metres. But: safety first! The professional mountain guides from the Mountain Sports School Pitztal and Freeride Center Pitztal are happy to accompany you. All owners of a ski pass can use the free shuttle bus from Jerzens to the Pitztal Glacier and the ski area Imst. The bus ride to the Pitztal glacier is only 30 minutes. Non-skiers and hikers can obtain the 7-day environment ticket at reception. The ticket costs only EUR 5.00 and enables unlimited use of public buses. 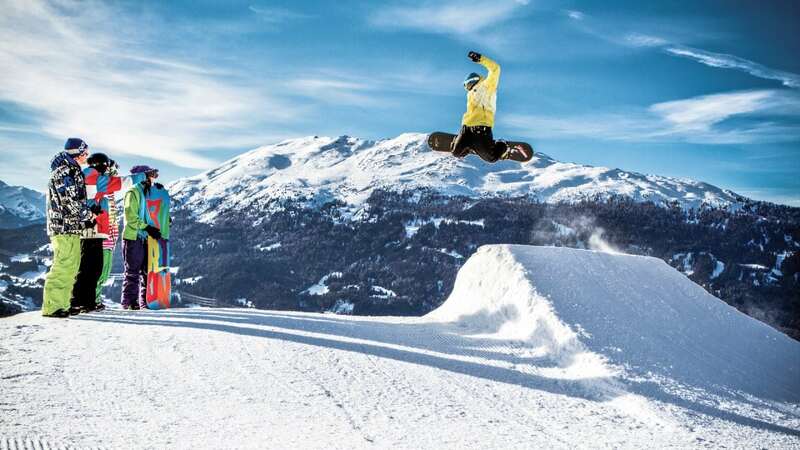 The snowpark Pitztal Glacier is the meeting point for serious snowboarders. Three areas offer rails, jumps and boxes in all ability levels, from beginner to pro. Skiers seeking a genuine adrenaline rush can go freeriding. Past crevasses, through pristine powder, enjoying pure nature. Those who want to discover the pristine solitude of nature at a slower pace can go backcountry skiing. There are numerous ski tours of varying range and difficulty, so that even skiers who are new to this sport can enjoy the wintery scenery. Whether you prefer skiing, snowboarding, freeriding or backcountry skiing, the Pitztal Glacier offers fun for every type of winter sports enthusiast. Take a break and taste typical Tirolean delicacies in one of the cafés or restaurants, soak up the scenery on the sun terraces, enjoy life to the full.